"Avengers: Infinity War" made $106 million at the domestic box office on its opening day Friday, making it the second biggest opening day in history. Friday's windfall puts "Infinity War" in second place behind only "Star Wars: The Force Awakens," which made $119 million for its opening day in 2015, according to comScore (SCOR). "Force Awakens" is the current record holder for the biggest opening weekend in history at $248 million. The opening day for "Infinity War" beat other Marvel titles like "Avengers: Age of Ultron," "The Avengers" and even the much-celebrated "Black Panther," which opened with incredible fanfare earlier this year. The totals for "Infinity War" in one day is already enough to make it the fifth highest grossing film released this year domestically. The movie is also off to a big start overseas, nabbing $178.5 million since opening internationally on Wednesday. It was the biggest opening day for a film in South Korea, Brazil, Hong Kong and the Philippines. The grosses for "Infinity War" has pushed Disney over the $1 billion mark in North America for the year. The studio hit that mark in 117 days, an industry record. The Marvel mash-up brings together superheroes including Robert Downey Jr.'s Iron Man, Chris Evans' Captain America, Scarlett Johansson's Black Widow and Chadwick Boseman's Black Panther who team up to stop Thanos from obtaining the mystical Infinity Stones. 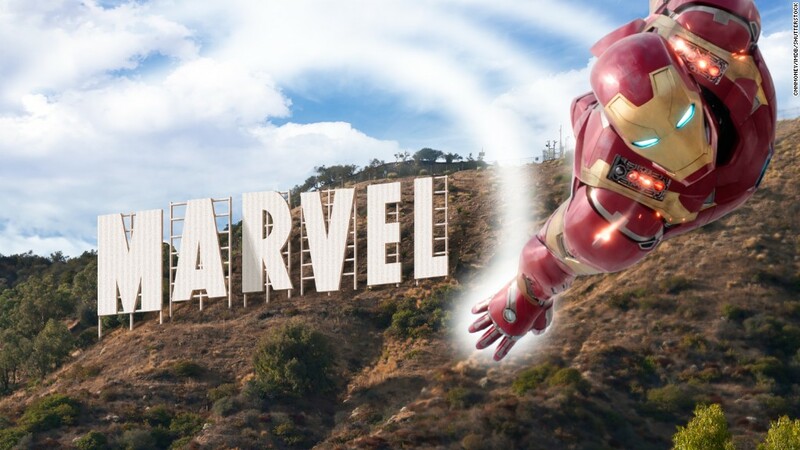 Marvel Studios, which is owned by Disney, has been one of the biggest success stories in film history. The franchise has 18 films open at No. 1 domestically, bringing in nearly $15 billion worldwide. The decade long franchise has also seen steady acclaim from critics averaging a score of 84% on Rotten Tomatoes. "Infinity War" itself also has a 84% score on the review site, with a 93% audience score.